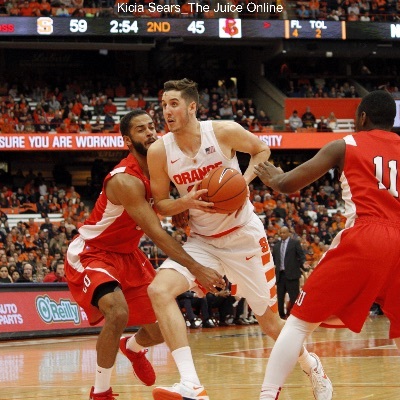 Where does Tyler Lydon’s NBA stock sit with 2017 nearing? Anderson is the prototypical stretch 4 for Houston. 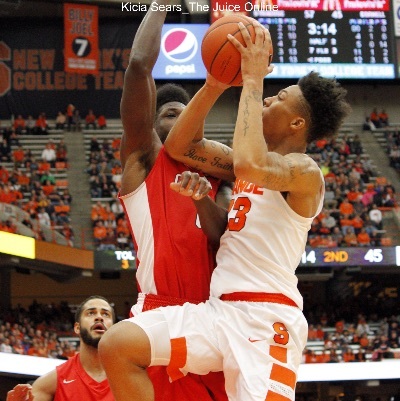 A little less athletic, Anderson is more of a catch-and-shoot guy who can also rebound. Knowing how important defense is to Boeheim’s distribution of playing time, this is an area where Thompson has to catch up, and fast. 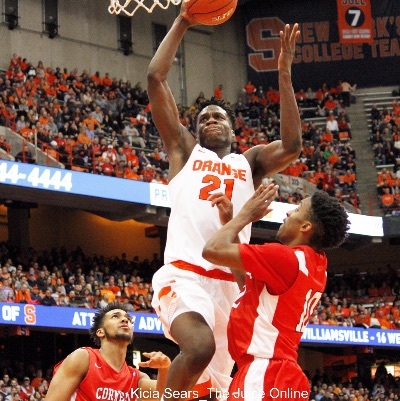 Continuing the theme of the season, Syracuse drilled an overmatched opponent at the Carrier Dome on Tuesday night. 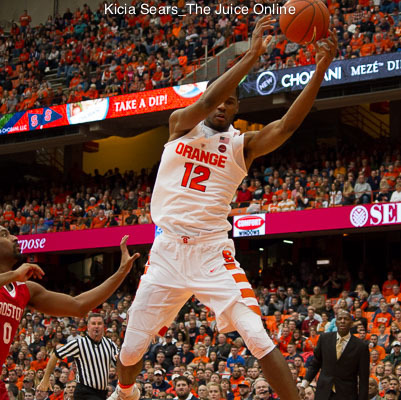 Lydon finished with 20 points and 10 rebounds, while Tyus Battle chipped in 16 points on 4-7 shooting from distance. 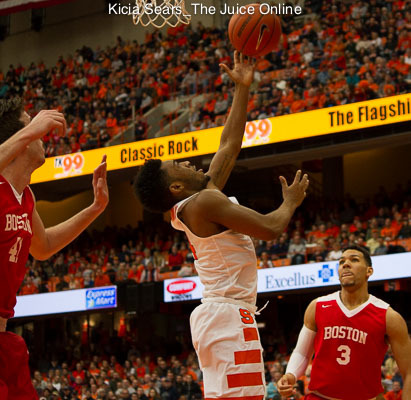 Orange Watch: Can the Syracuse basketball team salvage its season? 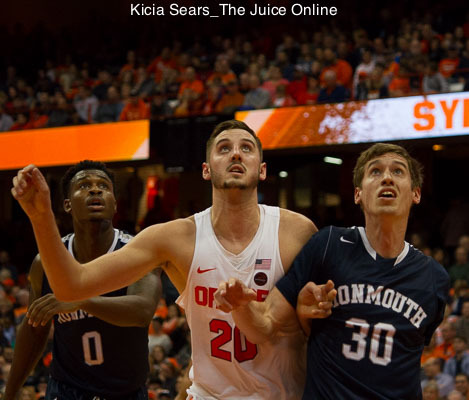 It’s not logical to think that this team would drop all three games against former Big East rivals, Connecticut, Georgetown and St. John’s now a combined 17-17. 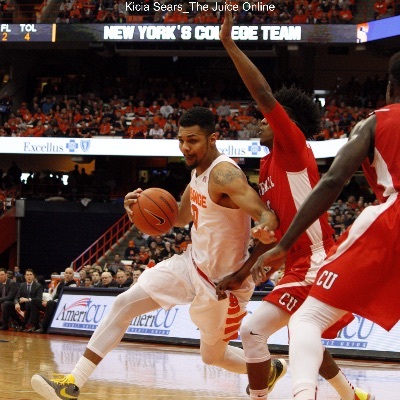 Expect Cornell to have to deal with an angry Orange bunch after Syracuse’s embarrassing 33-point loss to St. John’s at the Carrier Dome. 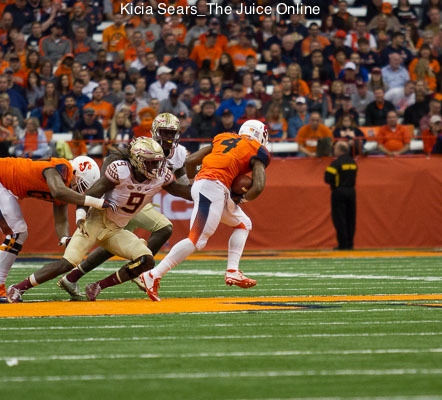 Orange Watch: What would the reaction be if a Syracuse player sat out a bowl game? The 2016 season could mark a milestone as a turning point for many more likely high first round picks putting their professional aspirations ahead of the program that recruited them to play college football. 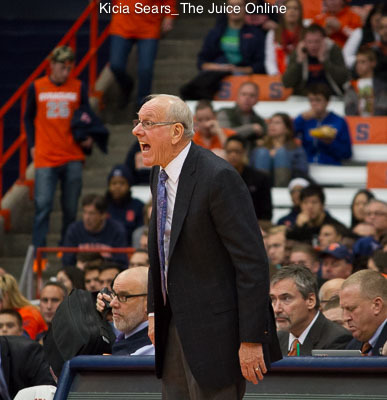 Who gets coal, who gets presents in Syracuse athletics this year? 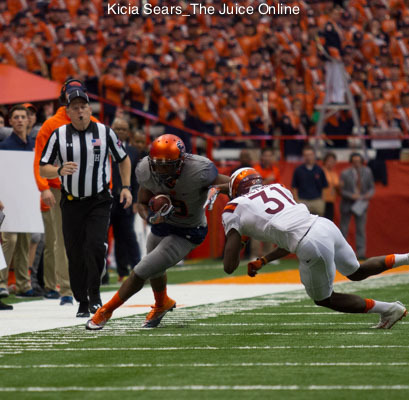 On behalf of all of us here at The Juice, thanks for another great year reading about Syracuse sports. Seven players on St. John’s scored at least seven points, led by Bashir Ahmed’s 20.